A grocery company-backed campaign for IP 37 turned in nearly 180,000 signatures to the secretary of state's office Wednesday. 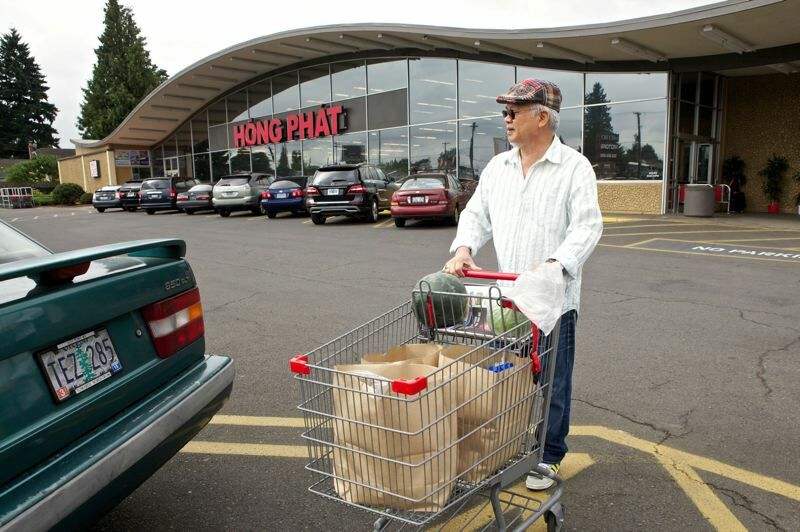 SALEM — Petitioners for an initiative to ban any future taxes on groceries have submitted nearly 180,000 signatures Wednesday, May 23, to place the constitutional amendment on the Nov. 6 ballot. If verified by the secretary of state's office, the number of signatures would exceed the 117,578 needed under statute. Joe Gilliam, president of the Northwest Grocery Association, called Wednesday a "major milestone." "Since statehood, Oregon has never taxed groceries, yet politicians in Oregon continue to push for a tax on grocery sales," Gilliam said. "This initiative will end these efforts and other future efforts by proactively prohibiting the taxing of groceries from farm-to-fork." Initiative Petition 37 would prohibit local or state taxes on all food for consumption, except for alcohol, tobacco and marijuana. Personal hygiene products were excluded from the measure, based on the results of the campaign's internal polling, said Dan Floyd, spokesman for the "Yes! Keep Our Groceries Tax Free!" campaign. "When we add in other products — even restaurant foods — support started to waiver. Some of those products might be viewed as more of a luxury." Katherine Dreissen, spokeswoman for Our Oregon, a labor-backed social justice political group, said the measure is an attempt by major retailers to avoid paying their fair share of corporate taxes. Our Oregon campaigned for a gross receipts tax in 2016, which voters rejected, but lawmakers have since discussed passing a more moderate tax to help raise revenue for schools and social services. The measure also would prevent a tax on sugary drinks, something being considered in Multnomah County. Driessen said the initiative isn't aimed at protecting consumers. "It's about padding the pockets of Walmart, Safeway and other big retailers that have already spent more than $2 million to qualify this measure," she said. Most of the $1.9 million the campaign has raised this year came from major national retailers, such as Kroger, the parent company of Fred Meyer; Costco and Albertsons, which merged with Safeway in 2018. While the campaign for the initiative claims restaurant food could still be taxed, the Oregon Attorney General's Office has indicated only restaurant taxes that already exist — such as those passed in Ashland and Yachats — would still be allowed under the initiative. The initiative is similar to one the campaign helped to pass in St. Helens May 15 with 89 percent of the vote. That initiative amended the city charter to ban grocery taxes and started after the City Council started discussing a tax on sugar-sweetened beverages.